How to Get the Best Homeowners Insurance Rates? How much should you be paying for your homeowners insurance? Depending on the type of policy you choose, and the company you select, your homeowners insurance rates could vary by as much as hundreds of dollars. So when you're shopping for homeowners insurance, here are the things that you should consider. In order to get the best homeowners insurance rates, shop around. You can get home insurance quotes online. Sure, it's going to take a bit of time, but it could save you a huge amount of money. 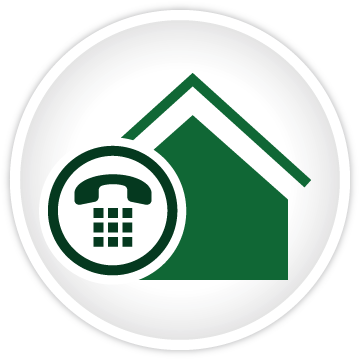 Ask friends and family members where they got the best deal, and also look in the yellow pages and take some time to make a few phone calls to find the best homeowners insurance rates. Check out online comparison tools, and look at consumer guides. Obtain home insurance quotes online. You'll get an idea of price ranges, and you'll find out where you'll get the lowest price. A word of caution, though - don't assume that the lowest price necessarily means the best deal. Most websites will feature customer reviews, and that's where you'll find out if people have had trouble with low-priced insurers. Your deductible is what you're going to have to pay before your insurance company starts coughing up money. Most insurance companies recommend at least a $500 deductible, but if you can jack it up to $1,000, you could save as much as 25% on the cost of your premiums. Ask your insurance agent what you can do to make your home more resistant to natural disasters. Simply adding storm shutters could reduce your premium. You could retrofit your older home to make it more resistant to earthquakes. You could also upgrade your plumbing, electrical, and heating systems to minimize the likelihood of damage due to water or fire. Simply installing a smoke detector will usually reduce your premiums by at least 5%, and if you install sprinklers, you could get as much as a 20% reduction. Before you spend a lot of money on homeowners insurance, though, find out just how much you're likely to save by speaking with your insurance agent. A $20 smoke detector is one thing, but sprinklers and other upgrades can be very expensive. Find out if your homeowners insurance carrier also handles auto insurance. If you can combine your policies, you could end up paying up to 15% less across the board. Of course, you should still shop around to get home insurance quotes online, because sometimes buying your home policy from one carrier and your auto insurance from another can be more cost-effective. Insurance companies offer all kinds of different discounts. Just as an example, if you're a retiree, you might get a discount because you're more likely to spend time at home, and therefore less likely to be burgled. Also find out if your employer or professional organization has group programs that offer deeper discounts than you might be able to get on your own. You might also be able to get a loyalty discount - if you've been with the same insurance company for a number of years, you might get a reduced rate. Again, though, shop around for home insurance quotes online, and don't assume that you're getting a better deal with a loyalty discount from your existing provider. Increasingly, insurers use your credit information to determine your rates. Pay your bills when they come due, don't carry a whole lot of credit, and keep your credit card balances low. Check your credit rating regularly, and make sure to take action to correct any errors that might appear on your credit report. You want your policy to reflect what you currently own. You could be paying for coverage that you don't need - for instance, maybe you sold some jewelry that you used to have insured. Or you have assets that are no longer worth the current insured value. Don't pay for what you don't have. 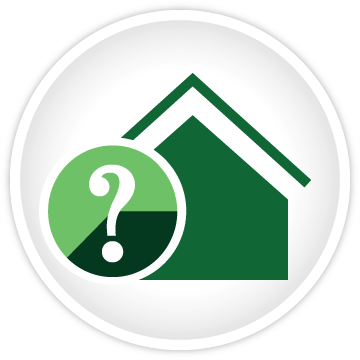 If you have any questions about your homeowners insurance coverage, ask your agent. You want to make sure that you have the coverage you need, but you don't want to be paying more than you have to.